When you already bored with a simple updo then these easy braided hairstyles for a party is what you need. They are easy and quick to make even if you don’t have a lot of time. The key point is no need to make it super clean and leave it a little bit messy for a romantic look. I love braided hairstyles because it does not look dull and always compliment whatever clothing I wear. It is perfect for all seasons such as Spring, Summertime or Fall. It’s a perfect hairstyle on Winter occasion too such as Christmas. You can pair it with a simple yet stunning dress which will get along together. 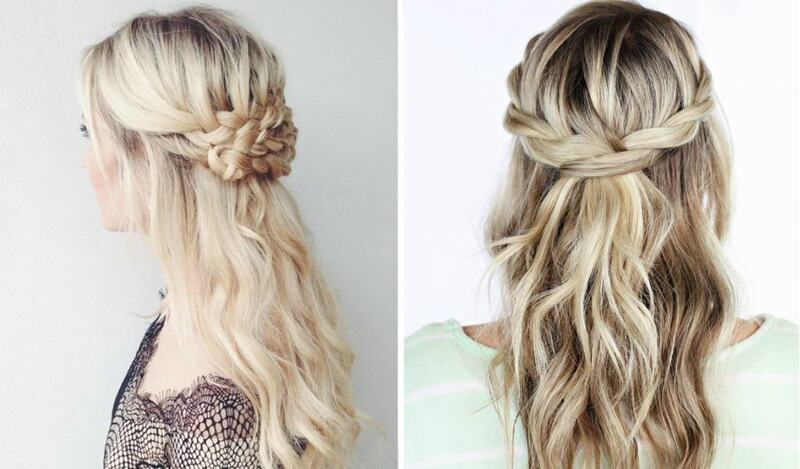 So, let’s see what type of braid hairstyle you can do! This braided hairstyle feels on the fancier side but you could dress it down for every day. You can wear it to date night, school dance, a work party, summer barbecue! I don’t know about you, but I can be pretty lazy with my hair and just put it into a messy bun. This is a great alternative that I will definitely try out! Flirty, fun, and carefree. I love how the pull through looks on this braided hairstyle. Super unique! Be your girliest best by sporting this floral hairstyle that will make everyone fall in love with your hair. It creates a unique illusion that makes them look like twists and the braided rose flower at the back. Found from Design Every Day Blog. You can definitely kick back and relax for the weekend with this pretty yet functional braided hairstyle. It pulls in your hair while you’re busy strolling out or just chilling at your home. I would love to try this look for traveling because it’s easy to make and I don’t have to bring a lot of accessories to make this look. Who thought that you can make a headband with your own hair? This Headband braided hairstyle is such a great way to add a little something extra to your favorite curls or waves. Simple and easy to do! Full tutorial from Missy Sue. 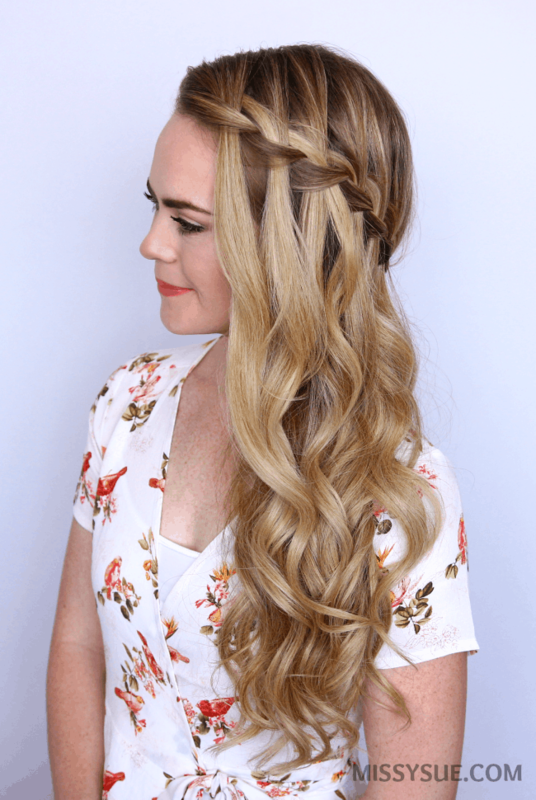 This easy braid hairstyle for a party is seriously so romantic looking which is perfect for any occasion such as Christmas or to be added on your Fall style! You can definitely pair it with a simple cute dress. You are busy and you only have 5 minutes. Try this simple yet beautiful braided hairstyle. Create a goddess look with this style which is perfect for any occasion. It will be a great pair with an off-shoulder dress or off-shoulder top for a casual yet romantic look. Make a crown with your own hair! This braided hairstyle can be enhanced when you added some flower hairpin in between the braid to create a flower crown look which is a perfect look for your wedding day! Found from Twist Me Pretty. All of these braided hairstyles for a party are simple and easy to make. You can also add some accessory to enhance the style. It is perfect for any occasion you want it to be or you just wanna be pretty while chilling at your home. Try some of these hairstyles and let me know what do you think of it! Give some love to this post by pinning it! See ya on the other side and follow me on Pinterest for more ideas and inspirations!